PenguinProxy and BTGuard both fall into the category of top-tier VPN providers, which is why it is not a least bit surprising that so many people have a hard time deciding which of these two VPNs to sign up for. One way to decide is to look at specific areas of service and see which of them does better. PenguinProxy is a relatively new free VPN service that works on Windows, Mac, and Linux. It is a peer-to-peer VPN that allows you to trade your bandwidth for limited online security. BTGuard is a small VPN service provider based in Canada, with servers in Canada, Singapore, and the Netherlands. It offers OpenVPN and PPTP protocols with strong 256-bit encryption and brings you solid speeds and great anonymity. * The prices shown represent the cost of one month within different subscriptions. To see all available plans and pricing options, check individual reviews. Do not install PenguinProxy! It slows down your connection, uses your computer to route other people’s traffic, and it messed up my proxy settings, I couldn’t access anything after uninstalling it until my friend came over and fixed it. It may be free, but it is not secure, you are better off spending a couple of dollars a month on a decent VPN instead of letting these guys steal your bandwidth and personal data. Works pretty well, the speeds are a bit inconsistent, but I only use it for browsing, so it works fine for me. Easy to use, but not that reliable. Should be much cheaper. Not bad but expected better speed. They should really offer a trial. Good VPN, really simple, but the support is just plain awful. 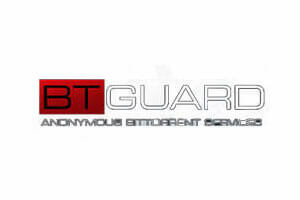 BTGuard is a VPN service provider that brings you great anonymity, strong encryption, and unlimited speed and bandwidth. It is simple to use, keeps no logs of your activity, and allows P2P sharing. * All the prices on this website are subject to change without notice. While we put a great deal of effort into making sure that all the prices are accurate, one or more products may have outdated prices. Please visit the specific product’s official website for exact prices. TheVPNLab is designed to introduce you to the best VPN solutions currently on the market and help you choose the safest VPN that best fits your user profile. All information published on our website is collected through independent testing and research and verified through consultation with reliable sources. The opinions expressed in our reviews and ratings are fact-based and uninfluenced by VPN providers featured on the website. We constantly update the content on our website, keeping it fresh and relevant to our readers at all times. At TheVPNLab, our goal is to help you find the best VPN for your needs and budget and take your online privacy and security to the next level. Earnings Disclosure: This website features affiliate links. For purchases made via these links, we earn commissions that allow us to keep producing helpful content. Your opinion matters. Leave a review of a VPN you have tested and help others make the right choice for their online safety.